Editor’s note: Every life has a story. In this column, we pay tribute to people who have died recently. I wrote about Mr. Ross and his passing a few weeks ago. This article appeared in the Post Star yesterday as he was being laid to rest. The reporter had contacted me for comment. And just so folks are aware, I asked him not to mention my recent book unless it was okay with Mr. Ross’ family. Rest easy, Barney. You made a lot of people happy in this life. There’s a footnote at the bottom of Page 21 of Matthew Rozell’s recently published “The Things Our Fathers Saw” that sums up the late Barney Ross perfectly. Rozell and his students at Hudson Falls High School were among many who heard Ross’ first-hand story of the attack on Pearl Harbor, the Pacific War and the signing of the surrender in Tokyo Bay. Over the years, he had to think a little harder and sometimes needed prompting, but once the Whitehall native started telling his story, the memory and emotion took over. Gerald A. “Barney” Ross, 94, died Thursday, Aug. 27, at Indian River Rehabilitation and Nursing Center in Granville, and with him died another memory of the attack that brought the U.S. into World War II. 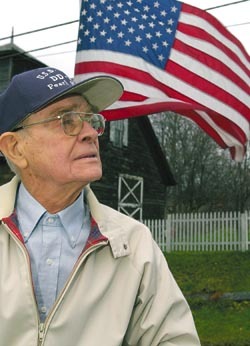 Ross, a lifelong resident of Whitehall, was one of an estimated 2,000 to 2,500 survivors remaining out of 60,000 who were at Pearl Harbor on that day of infamy. Ross was a 1940 graduate of Whitehall High School and played on the 1939 unbeaten, untied, unscored-upon team. He was a hunter, fisherman and lifelong communicant of Our Lady of Angels Roman Catholic Church. 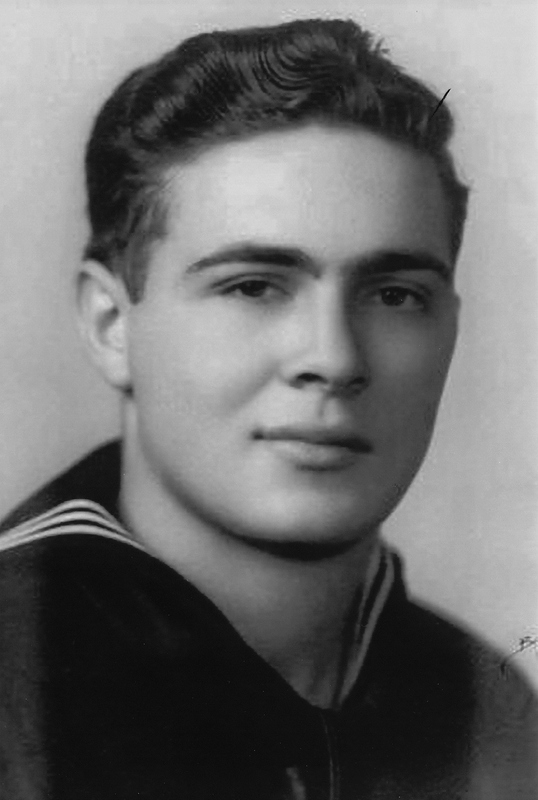 Following graduation, Ross enlisted in the U.S. Navy in August 1940. He served on the USS Blue during the Japanese attack on Pearl Harbor on Dec. 7, 1941. Ross met Alice Marie Doyle at a USO dance in Philadelphia, and they were married in 1946. He operated Ross’s Restaurant in Whitehall and was later employed as a machine operator at Decora Industries in Fort Edward, retiring after many years of service. An electrician’s mate aboard the USS Blue, Ross found himself in the destroyer’s magazine during the battle, feeding ammunition to an anti-aircraft gun on the top deck. He had been in the harbor on the USS Blue when the Japanese planes dove out of the sky and dropped their bombs, and when the enemy submarines simultaneously sent torpedoes into American ships, in the surprise attack on America’s Pacific fleet. Over the past seven weeks, at least five other survivors of the attack have died, including Joe Langdell, who at 100 was the oldest survivor of the USS Arizona. Eight men who served on the Arizona during the attack remain alive. Ray Chavez, who at 103 years old is believed to be the oldest living survivor of the attack, recently threw out the first pitch at a San Diego Padres game. In all, 2,000 to 2,500 of the 60,000 survivors are thought to still be alive, according to USS Arizona Memorial officials. More than 2,400 Americans died during the attack, including 68 civilians. Most — 1,177 — were killed when the Arizona exploded and caught fire. Rozell said he had not been in touch with Ross recently, but the man left a deep impression on him. “As a nation, we were sleeping; it is a terrible thing to say, but we just …” Ross is quoted as saying. “I was just standing there waiting for a motor launch to take me to a bigger ship to go to Mass, to go to church! We had no inkling, no inkling whatsoever,” he added. Ross is survived by his wife and his three sons, Gerald F. Ross and his wife, Patricia, of Hartford, Dennis A. Ross and his wife, Angella Gibbons, of Marshfield, Vermont, and Christopher D. Ross of Whitehall. Ross lived at Indian River Nursing Home in Granville for the past six years, and his wife still lives there. A Mass of Christian burial was celebrated Saturday at St. Mary’s Roman Catholic Church in Granville. Rite of Committal will be celebrated at 1 p.m. Monday at Gerald B. H. Solomon Saratoga National Cemetery in Schuylerville with full military honors. This fleet was coming to blow us off the face of the earth. My friend Barney Ross passed away a few days ago. So today, on the anniversary of the signing of the surrender aboard the USS Missouri, where his boat was also anchored for the ceremony, I’ll let him recount for you what it was like at Pearl Harbor when the Japanese attacked. Yes, he was there, too. early interview in my class- housed now at the New York State Military Museum collection.